Truth by Kbaig: Silence on Activities of Black Water “Xe” is sign of Slavery…! Silence on Activities of Black Water “Xe” is sign of Slavery…! Are these styles of ensuring freedom and sovereignty as adopted by us? Have we ever thought that daily routine practiced by us is pushing us towards destruction? Senselessness, hypocrisy, telling lies, corruption, bribery, and lawlessness are burning us to ashes like fire. Look at the past month of Ramadhan, people have to be disgraced in long lines to get sugar and flower in hot weather and sunlight, while investors of these commodities broke records of black marketing and hoarding. Every year the month fixed for worship is made a source for extra income but this time it crossed limits. Religious tolerances aside even the trade rules and morals were ignored. And now it seems that we have decided to mortgage freedom n sovereignty as well. But respect of community (Islamic respect/self respect) cannot be found in bazaar like a sale able commodity which can be sold or purchased as one likes. It belongs to conscience. If this is alive then even strong enemy does not dare to come near (Cuba is a great example) and if it dies then like Mughals, state is captured by others. Only 300 soldiers of “East India Company” defeat army consisting of 500000 personnel. Here I would like to mention address of Lord Macaulay 174 years ago on 2 February 1835 to British Parliament. In which he clarified his plan of enslaving Muslim rulers of India and people linked to Islamic values. Then this happened, subcontinent became slave. Afterwards how much sacrifices of lives were given to regain freedom this is part of our history. Which we have ignored. While many other nations are unable to achieve that blessing of freedom even after giving more sacrifices. We got freedom perhaps because our ancestors had preserved little part of out values. And secondly they had leaders like Quaid-e-Azam Muhammad Ali Jinnah of noble character, who played important role in the freedom of his nation. May Allah not let happen so, as the shadows of English imperialism (American Xe) are haunting our country, if any bad time falls to us can we defend our sovereignty with our present character? This is the question which makes hearts and brains of many Pakistanis when they think about Black Water (Xe). Circumstances prove the presence assassin agency while our rulers deny it. Recently Russian Television (RTT) broadcasted a program titled “Increase of US Security Firms in Pakistan”(Pictures are attached as proof). 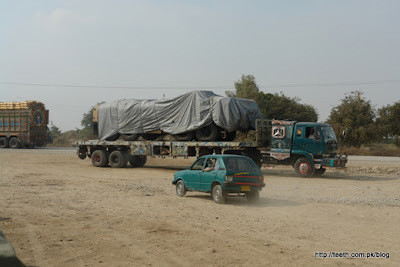 This program disclosed that 500 Armored Personnel Carriers (APC) (wheeled) have been unloaded at Karachi Port and they are being silently transferred to other areas. If we look at this fact technically one infantry unit has about 50-60 APCs. The number of 500 is more than the need of a division. 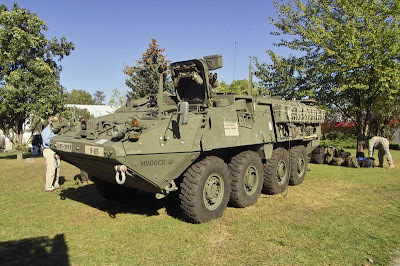 Possibly these vehicles have been ordered for use in Afghanistan. Keep in mind these APCs have tires and are used for combats within cities. This situation signals towards increasing American plans in the area. This forces one to think that by changing Afghanistan in to a big American army station, is American forcing the whole neighborhood towards a big military clash? However after China, Russia is second country who has shown concern over increasing presence of Black Water in Pakistan. Although Russia has shown no objection on this through proper means, but stance of RTT can be taken as government’s response because media in Russia is controlled by state. Russian T.V. has also mentioned arrest of four armed Americans on 25th August by Islamabad police in F-7 Sector. These were arrested while roaming at night in their vehicles equipped with lethal weapons. Security in charge of American Embassy Captain (Rtd.) Aijaz arrived at the Police Station and took these Americans with him. According to Russian T.V. these Americans belonged to Black Water who has been ordered either to kidnap or murder Dr. A.Q. Khan. Because on the order of court the security provided to him in the name of protocol has been already removed. Moreover center of Black Water in Karachi Defense Area ‘Kheyaban-e-Rahat’ and two buildings consisting of 40 rooms in Peshawar were also mentioned in this Russian Program. The acceptance of purchasing a “Five Star Hotel” in Peshawar by American consulate has been already known to our readers. In the same way on 20th September police raid on the house of Ex-Commando of Pakistan Army Captain Syed Ali Haider Zaidi owner of a Pakistani firm ‘Inter Risk Security’ providing security to American embassy in Islamabad was important news for the international media. All the weapons that were recovered were illegal and unlicensed. Upon leakage of the news American embassy issued the statement that they gave responsibility of security of embassy to Captain Zaidi’s Security Company but they have no link with the weapons recovered from his house. In this way Americans have tried to oppress this matter and their links with him. However they have been unable to clarify their link with Captain Zaidi. In addition to security company is also running training camp named as “Care and Carrying” in Rwat. Here in this camp, marines (assassins) of Black water provide training to above mentioned security company’s guards. On the will of American embassy many European embassies have signed deals with “Inter Risk Security” for their security. These embassies pay 2000 dollars per month to Zaidi’s security for each security guard. Out of this 60000 rupees per month are paid by Capt. Zaidi to his guards. From how long this is going on, is unknown. But according to some reports approximately 200 guards have been sent to Peshawar after completing their training. These guards are responsible for protection of Black Water meaning all of these trained guards are under direct control of Black Water. It is also to be considered that all of these guards who have taken training are ex-Pakistani Commandoes and Soldiers, most of these include such persons who have been court martialled for various crimes. According South Asian News Agency (SANA) few days ago security agencies along with Police arrested Capt. Zaidi from his training camp in Rwat. However he was freed after wards upon the American and Pakistani politicians’ pressure. According to SANA Pakistani govt. has demanded all the documents of the persons trained, or under training, in addition govt. 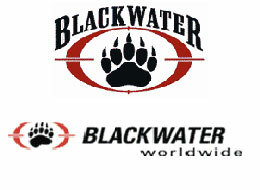 to know about all those persons who have contacted to Black Water through Capt. Zaidi. He belonged to Special Services Group (SSG) of Pakistan army. In 1987 he was serving at the most highest OP Post of Siachen Glacier named as Quaid Post. In order to establish the post at world’s highest point dozens of soldiers of Pak-Army had given their lives. Through this post not only it was possible to observe Indian movement but stopped Indian advance. As soon as any soldier of enemy tried to move forward the Sniper at the post shot him dead. One day Capt. Zaidi made lame excuse of pain in stomach and left the post and came back to the base camp. Meanwhile Indians attacked the post and captured it after martyring all the soldiers present on the post. Was this just a coincident or preplanned this can be answered better by Capt. Zaidi or Indians? This was a great loss for Pakistan. In the medical checkup Capt. Zaidi proved to be healthy, on this he was dismissed after court martial however Quaid Post is still under the control of India. Let us come back to the topic. Famous American journalist “Jeremy Scahill” has disclosed that Black Water supervises the Drone Attacks against Al-Qaeda leaders within Afghanistan and Pakistan. In addition HellFire Missiles and 500 pounds Laser Guided bombs are assembled to the Drone Planes by Black Water. This statement was given by American giving explanation to his book “Black Water World Wide” in front of Defense Committee of American Congress. 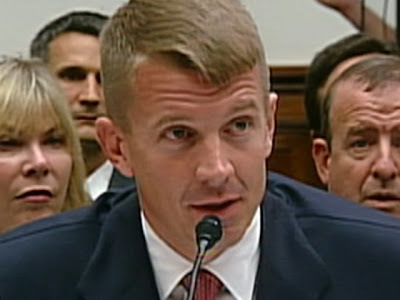 He even claimed that Black Water has to decide the target. However according to American govt. CIA chooses the target while the duty of Black Water is to protect Drone Planes and the weapons used by them. Jeremy Scahill accused President Obama in front of that community that, he has provided a big amount of 700 million dollars to an agency like Black Water who is guilty of murdering masses in Iraq and Afghanistan. On the one hand unemployment is increasing, banks are falling, while govt. is wasting money over Black Water. On 19th of August 2009, famous magazine of America ‘New York Times’ representative Mark Menzeti have published a report about a secret agreement between CIA and XE (Black Water) for murders on large scale in Pakistan and Afghanistan this agreement has been named as “Program to Locate and Assassinate Top Operatives of Al-Qaeda”. On this news report Director of CIA Leon Panetta accepted that they have utilized services of Black Water under ordinance issued by American President in 2001 named as “Finding”. Afterwards congress gave it the form of law. According to this law CIA or other secret agencies of America can go to any country to search and assassinate enemy and use all means to fulfill their damn purposes. In order to fulfill this plan CIA has spent millions of dollars on training. Consider at the acceptance of the accuse by director of CIA and on the second day of Eid-ul-Fitr statement of Hilary Clinton that Al-Qaeda’s top leadership is hiding in Pakistan. Then it has only one meaning that America has decided to conduct assassination activities as it did in Iraq. Presence of Black Water is being considered as threat to Pakistani Nuclear Weapons by some defense analysts. While govt. claims that Black Water is not present in Pakistan. American ambassador says, “Some miscreant journalists are making Black Water an “Issue””. Then what is the proof that leaders of Al-Qaeda are hiding just in NWFP or Tribal Areas? Cannot CIA make fake claims of their presence in other parts of Pakistan? Why America cannot be involved in target killing for assassination of anti-Americans? (The continuous target killing in Pakistan probably is being done by Xe). Readers! American ambassador terms the journalists as miscreants or what ever name she likes, fact is that XE or Black Water is not here for searching leaders of Al-Qaeda. There hidden purposes are something else. After staged drama of 9/11 American President Bush has not mentioned Crusade without any purpose. If we look at the past eight years it is clear that America has destroyed Iraq and Afghanistan in Crusade war which is against Muslims. Now there target are other Islamic countries. 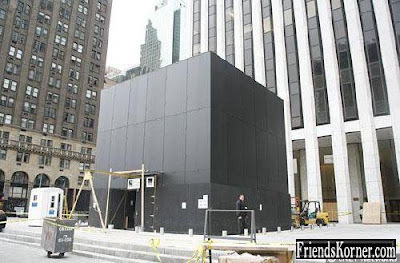 Construction of a pub having the shape as “Kaaba-tu-Allah” in the Main Hutton area of New York shows that supporters of inter-faith war has created a new “Fitna” after failure and drop scenes of war against terrorism. Will not Muslims get angry over this provocative act? Will not this result in protests in Muslim countries? Which further instigated by media under control of Jews in the name of fundamentalism. As a reaction to it if some Muslims give some response then it will be termed as terrorism and Pakistan will be blamed for it. While Black Water is already here to take this conspiracy to next level. If still we do not protest than the whole credit goes to Lord Macaulay who taught the secret of enslaving Muslims to English. For any government to assassinate anyone on foreign soil is a violation of international law. And fortunately there are left leaning governments in Spain, Greece, Iceland and Latin America that have shown willingness to prosecute US war criminals (like Kissinger) at the International Criminal Court. All spymasters, including Obama, who approve these killings need to be forewarned that they may be sacrificing their freedom to travel internationally for life. As in the case of Pinochet, who was arrested in Britain, EU countries are bound to honor the arrest warrants of other EU countries. I write about my own close encounter with the seamier side of US intelligence in my recent memoir THE MOST REVOLUTIONARY ACT: MEMOIR OF AN AMERICAN REFUGEE (www.stuartbramhall.com). I currently live in exile in New Zealand.